It is hard to believe that 2014 is coming to a close. It has been an amazing year for me despite so many challenges physically with my back and hip. I started off 2014 with 4 full marathons planned but I am ending the year with 5 full marathons completed. I ran approximately 5 half marathons in 2014. I ran a 18 mile race and a 10 mile race. I will have averaged 100 miles a month by the time 11:59:59 PST hits here in California on 12/31/14 for a total of 1,200 miles ran in 2014. In March, 2014, I set out to do what I could not accomplish at the California International Marathon in December, 2013. I finished CIM with a huge PR, and was on target to qualify for Boston when I began having trouble in the latter miles. I did not hit a wall. I was not tired. I merely was cold. Freezing cold. We had the craziest cold snap that hit Northern California just two days prior to the 31st running of CIM. It was a balmy 23 degrees at race start. There was black ice on the pavement where the water stations were located. People, including myself, had ice hanging from their hair and clothing. I realized it was sweat that was freezing instantaneously. I hit mile 20 in sub 3 hours and I knew that my pace was on target to BQ. But, that did not happen that day. As I mentioned, I self-destructed with hip flexor issues and being cold. I finished CIM with a 4:11 for an all time marathon PR. My BQ time is 3:55. I still have a lot of work to do, but I realized how close I was. 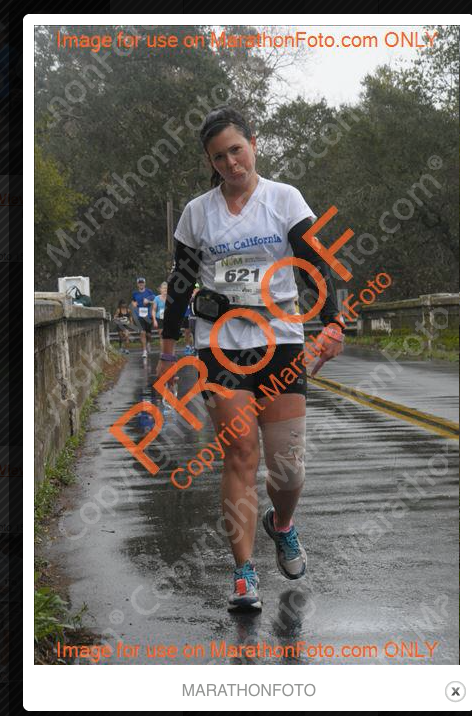 I entered 2014 with the goal to finish what I started and run my smart race again at the Napa Valley Marathon. 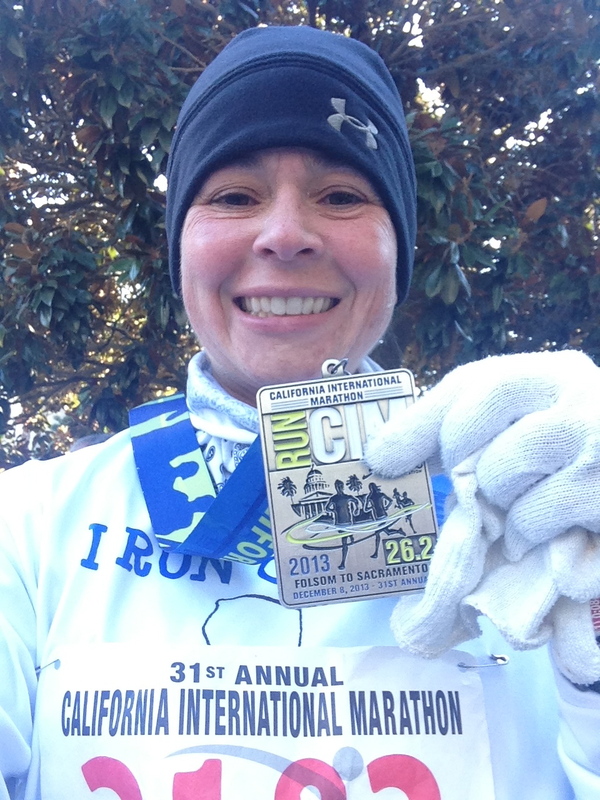 CIM 2013 – I never shed a layer. It was that cold! It turns out that my “stupid knee” is an issue that is actually part of a bigger issue. Just a day after running NVM, not only did I sign up to run it again in 2015, but I hobbled into a chiropractor’s office. I have been the route of sports doctors and have been told to a) stop running; b) let’s do surgery; or worst yet c) let’s block that nerve. Wait….What??? NO! Chiropractic care was the furthest from my mind, but I was not going to go under the knife and there is no way anyone is going to block any nerve. Really, aren’t nerves important? The nerve the Orthopedic Doctor wanted to block was an important one too, the peroneal nerve (an offshoot of the sciatic nerve that provides sensation to the lower part of the leg and foot). Within a few minutes of being with the Chiropractor, she informed me that my sacrum (triangular bone at the base of the spine) was out, my hip was out of alignment (leading to the tracking issue with my knee and other issues) and eventually we found out that I had three compressed discs at 1mm each (minimal but enough to cause pain in the sciatic nerve). When my hip is out of alignment, it pulls on the lower back and the discs flare. My gait is affected and ultimately my time gets slower as I get into the latter miles of a marathon because I am so tired and in pain. 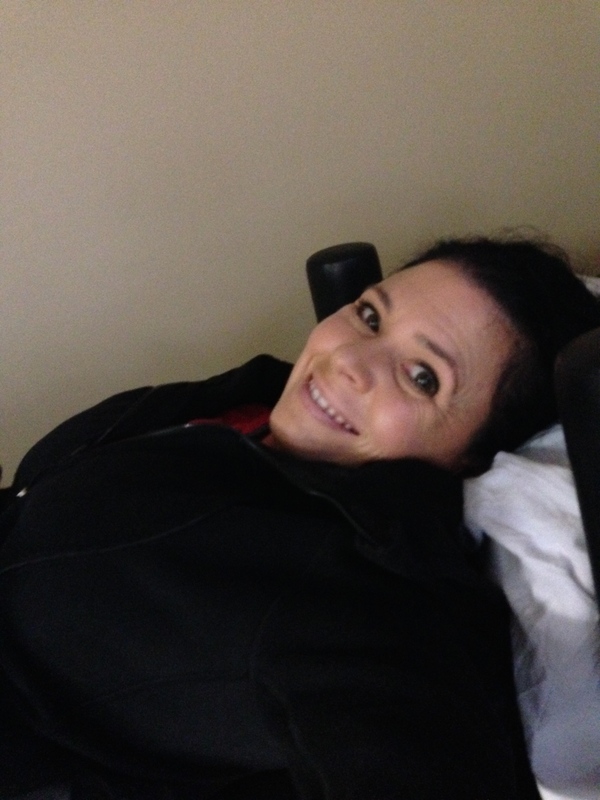 On the DRX – Spine decompression to help with lower back pain and pressure. 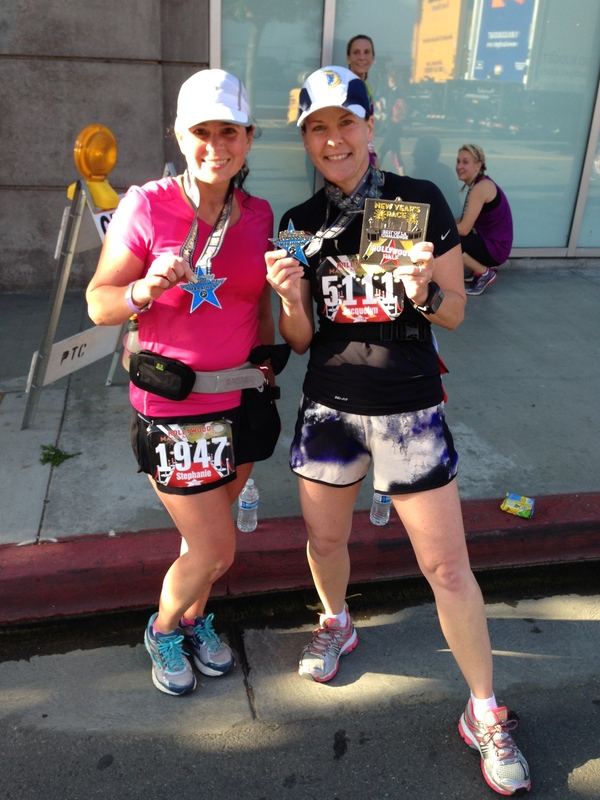 I ran the Hollywood Half Marathon in April with my dear friend, Jackie from Fit Sparrow. We had so much fun running the race as friends and just catching up. I was in a lot of pain from my back and she was dealing with some issues herself. That weekend turned out to be one of the most relaxing and fun weekends that I have had since, well….since traveling to New York in November, 2013 to run the New York Marathon with Jackie. Friendship means more than a finish time. My dear friend Jackie and her dinner plate medal at the Hollywood Half Marathon. After the Hollywood Half Marathon, I continued with my chiropractic therapy. My chiropractor understood my goal to get to Boston and she worked with me to decompress the discs in my lower back and to help keep that left hip in alignment. 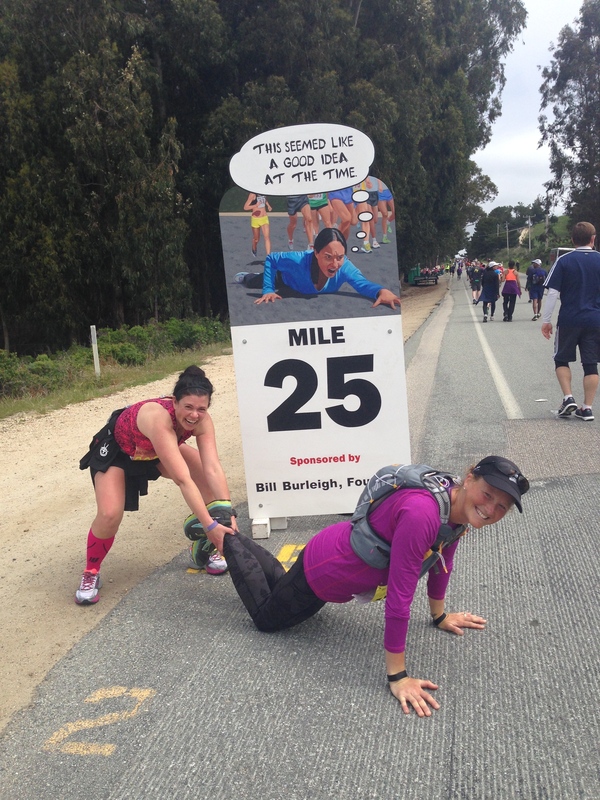 I ran the Big Sur Marathon at the end of April as part of a relay team. The Bad Mama Jammas took Big Sur on and we finished strong. I had a wonderful team from a running group that I created in April, 2013 and now co-lead with a friend. Not wanting to just run a portion of the course, I decided when I set up the team that I would run the whole course and got clearance from the race directors that this was okay. 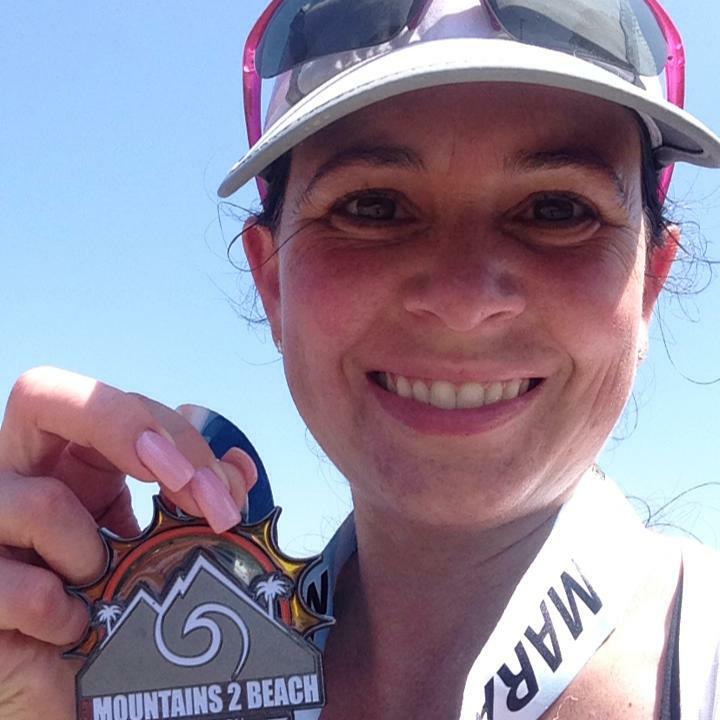 I ran my 7th Full Marathon at Big Sur and finished in a little over 5 hours. That course was tough. It was not a course that I did for time at all because of two issues, my back and I wanted to enjoy the beauty of the course (read: selfies). I was able to run with the women who had designated relay legs on the course and they motivated me during the times when I was really hurting. I got to run a bit with my friend Julie Weiss, Marathon Goddess. We talked a bit and played leap frog for a while. In addition to playing leap frog with Julie, I leapt over Leigh Anne from Get Fit with LA and she in turn leapt over me. We wound up crossing the finish together. There is honestly no greater thing on a course than friends helping other friends. Between the ladies in my running group, and friends on the course, I finished that race and earned two medals that day. One for the Relay and one for the Full Marathon. Friendship means more than a finish time. 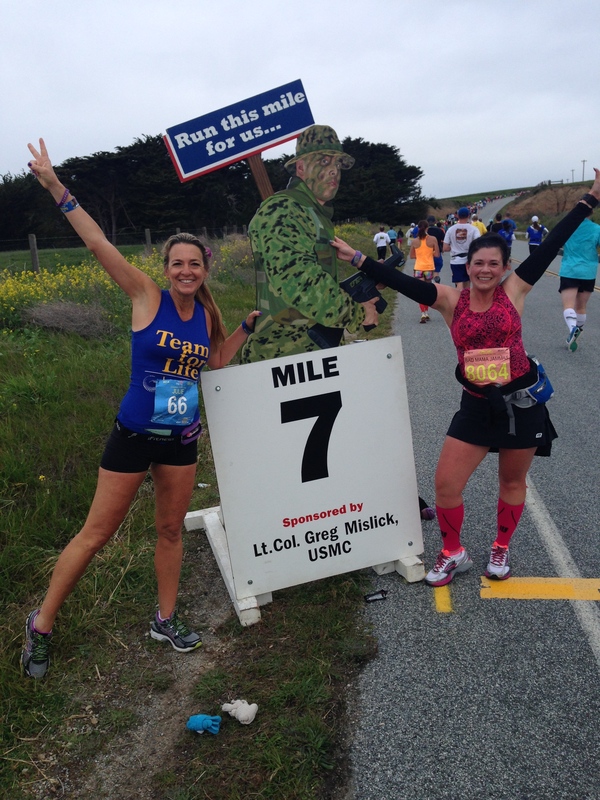 Celebrating Marathon #7 at Mile #7 of Big Sur with Julie, Marathon Goddess! One of many leap frog moments on the Big Sur course. We decided to have fun. After Big Sur, I was so discouraged. I felt that my times were creeping up and I felt the Boston Qualifying time slipping away. I joked that at this rate, I would qualify when I was 80. Part of me believed that to be true and not a joke, but I kept a smile on my face. I nearly deferred my 8th Full Marathon, but it was an expensive one to defer. My chiropractor wanted me to run this 18 mile race I had signed up for with the Mermaid Series called the Sirena 18. I ran that race out in Fremont on a very warm May day. I used it as a training run and also as a test to see how my lower back would hold up for Mountains 2 Beach, my 8th Full Marathon and 3rd Full for the year. I was met on the course by a very dear friend of mine and her son. They provided me with hydration, hugs and my very own cheer section. They brought smiles to my face that I will always remember. I finished the Sirena 18 with one of my teammates from my running club. She was running the half marathon and we caught up with each other with just 4 miles left to go in our respective runs. We helped each other along to the finish. This was yet another running moment where friendship means more than the finish time. At the end of May, I flew to Santa Barbara and drove into Ventura to run Mountains 2 Beach. My chiropractor believed in me. She said I was ready. So off I went. Running down a hill from Ojai to Ventura is quite a ride! That course has some very beautiful spots along the way. Still, at mile 18 I began to feel the hip and the lower back and my average mile time began to creep up. I decided to just have fun and when I crossed that finish line with a 4:35 finish, I managed to do a jump and the photographer caught me as I was coming back down. My motto – Always have fun! I finished that race and have a beautiful medal to show for it. I was alone on the course that day. But there were followers from my Facebook community page, I RUN California, who saw me and yelled out to me either during the race or after the race. These were the words that I needed at the time to help me press on and keep my head high. My phone exploded with well wishes and congratulatory posts. Friends, even when not present, mean more than finish times. My 8th Full Marathon finish. Mountains2Beach, 2014. I ran into June with a half marathon time that PR’d the course from the year before, but did not PR my official half marathon time PR of 1:57 at RnR Las Vegas, 2013. I was feeling so numb and beginning to think that my goals and priorities needed to change. Sadly, I also had to change my chiropractor as my insurance would not cover her care. That was a sad day for me. I have retained her as a friend, however. I hope she realizes how much her words and care helped me during some very dark moments in my silly runner brain. 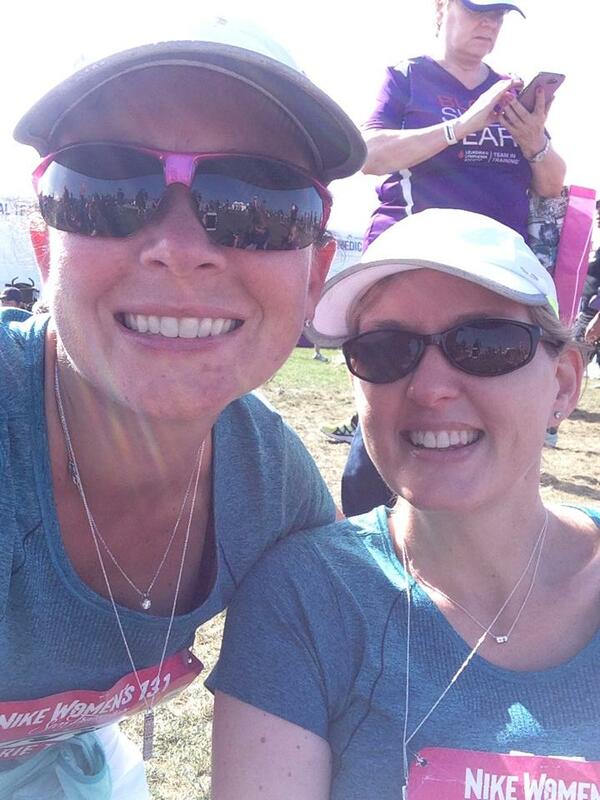 I helped a friend as she ran a half marathon with a very strained back. I was worried for her and did not want her on the course alone should she need assistance. Whether I needed to piggy back her or get her to a spot where I could run and get my car, I wanted to be with her. That race, The Diva San Francisco, went down in the books as a race to give back to a friend in need. That day, we celebrated the finish line, not our finish time. Friendships mean more than finish times. 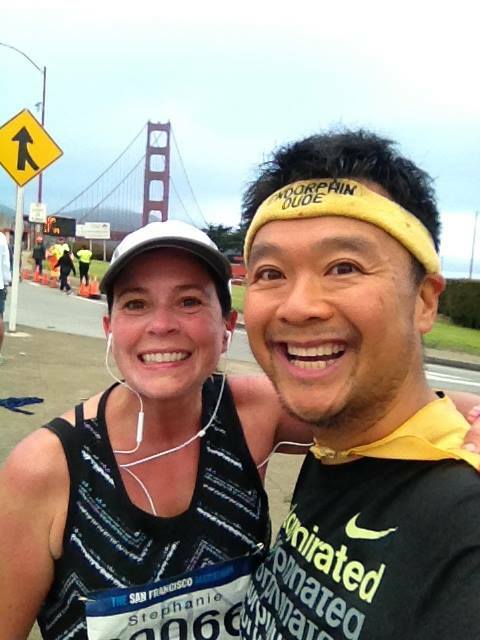 In July, I celebrated my 45th birthday by running the SF Marathon. I have always wanted to run this race, but my family’s schedule has never allowed me the opportunity to be away. 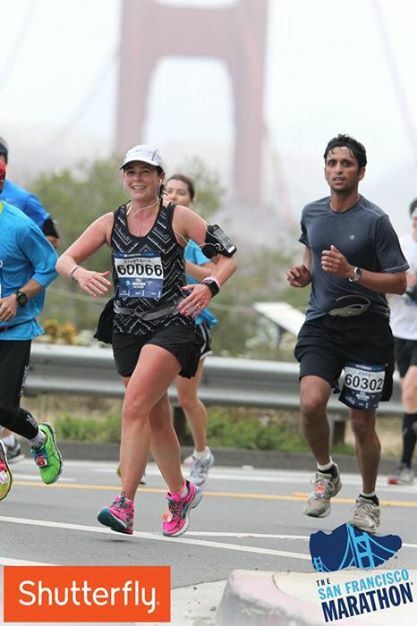 I was determined to make the SF Marathon my 9th Full Marathon. On July 27, 2014, I set out to run my race. I got a nice send off by Bart Yasso. I had decided early on that I was not going to run this race for time, but for the mere enjoyment of running on my birthday. I was running with many friends along the way and was hoping to pick them up along the course. I ran over the Golden Gate Bridge, enjoying a run that I ran many times before, but this time with thousands of brand new friends and on the road bed of the bridge. After getting off of the bridge, I ran into my friend Tony from I Am Endorphin Dude. I gave him a huge sweaty hug and was on my way. Shortly after seeing him, I ran into Ken from The Hollywood Half Marathon holding up his FREE HUGS sign – so of course I had to get my free hug from my friend Ken. Running through Golden Gate park, it was getting really warm. It was very humid on this day in July. It was very odd weather for this time of year in San Francisco. People were beginning to feel the heat and many were beginning to slow their pace. I ran into another dear friend as she was starting the second half of the marathon. We ran a bit together but were soon separated. I ran that course at my pace and walked when I wanted to. I talked to people and had fun. At mile 24, a man fell in front of me, grabbing his calf. By this time in the race, it was extremely warm and people were looking out for others around them. I stopped immediately and began helping this man by rubbing out his calf. Fortunately, a shop owner saw what was happening and came to his aid with water and an electrolyte drink. I finished that marathon feeling extremely nauseous but it did not stop the tears that came to my eyes as I crossed my 9th Full Marathon finish line. I finished that marathon around 4:48 that day. Wandering through the finish chutes, I noticed so many ill people from the heat. One man next to me was suffering from nausea. I tried helping him as best I could. We were all helping each other. New friends and helping others means more than finish times. The SF Marathon – A beautiful course. Doing what I love most! I took the month of August off to really begin my focus on training for the California International Marathon in December. I implemented the Hanson’s Training Method. My mileage crept up and I was working with a new chiropractor who practices A.R.T. I was really getting strong and healthy. My average mile times began to come back down and my tempo runs were where I wanted them to be. I was building back to where I was prior to Hip-Gate. It was also during this time that the Mermaid Series accepted me as one of their Ambassadors. I now proudly promote their races and am able to race with them when I can. September brought the Clo Cow Half Marathon, see here for this review of a fun race in Petaluma, California. It is my favorite half marathon. Celebrating Christina’s first Half Marathon finish at the Nike Women’s Half Marathon. October brought me the unexpected honor of pacing my dear friend, Christina, to her very first half marathon finish at the Nike Women’s Half Marathon. I wanted that experience to be enjoyable for her and managed to get to her to all her cut off points so that she could focus on just maintaining her endurance. Christina did wonderfully and I am so proud to say that just a few days after running Nike, she signed up for a 10 mile run at Big Sur in April, 2015. Yep folks, we have another running covert! It was so important to me to see her finish this race. Christina was worried that I would want to run ahead, but that was not what this moment was about. This moment was about finishing with a friend. This particular finish line was important because I was crossing it with a dear friend of 18 years. November brought another Mermaid Series race. I ran this race with a few of the ladies from my running group. We all have different paces and so they understood that I was using this race as a test to see how I would do for CIM in less than a month. The Sirena 10 mile race was in San Francisco. I raced a hilly course over the Golden Gate bridge again and through the Presidio. I managed to finish with a average pace of 8:52 and a finish of 1:28. I knew that I was on target for CIM. Things were spot on. I was ready. The hip felt good. The back felt good. December brought me into CIM with the eagerness and readiness of a warrior. But, I was dealing with issues from swollen lymph nodes. It was evident that I was fighting something. I took a few days off before CIM and did not run. Three days before CIM, I went out for a 3 mile shake out run and averaged that run at an 8:17 pace – I was so ready. This girl was going to fly. I was excited to meet Kristina from Live Laugh Love Run, my friend Jackie from Fit Sparrow, the ever charming Dashing Dad, Sharon from Rungry Runner, and Tony from I Am Endorphin Dude. This weekend had potential to not only be a Boston Qualifying race, but also a memory maker as all these amazing people whom I follow were at one place at one time. I was thrilled to be a part of their company. I look up to these amazing people and they are very inspirational. We spent a lot of time at the expo and then Jackie and I went on our merry way to go hunting for Unicorns. Boy did we ever find them! 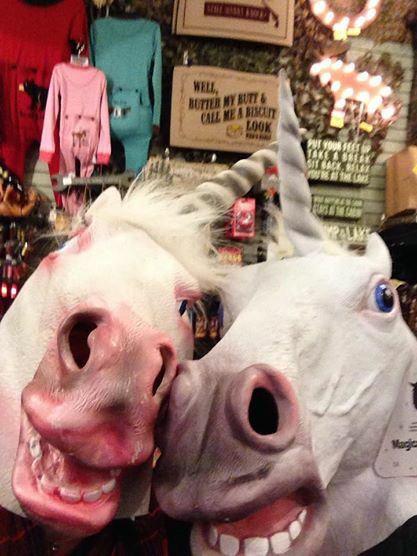 Unicorn wall mounts, Unicorn shirts, Unicorn masks, Unicorn stuffed animals, Unicorn sweatshirts and even Unicorn “Meat”??? – yes, I said Meat. Not wanting to give myself bad mojo, I quickly put that can of “meat” down. There was no shortage of laughter and the night was spent with my dear friends at a wonderful tree lighting ceremony and Pre-Marathon dinner in Old Sacramento. On the morning of December 7, 2014, I awoke feeling strong and ready. The girl that was going to qualify for Boston was going to go to the starting line. She got on the bus with Dashing Dad, Live Laugh Love Run and Endorphin Dude. She laughed at the stories and shared some of her own. But mostly, she was focused. She was focused on the task ahead and what she needed to do. After hanging out at the start line, she said good bye to her friends and toed the line with the 3:55 pace group. I spoke with the 3:55 pacer ahead of time and he told me that he would not get me in to qualify, but would get me close enough. I just needed to pull away from him ahead of time and start adding time to my latter miles if I felt good enough to do so. CIM was to be my 10th Full Marathon, my 5th for the year, a potential sub 4 hour marathon, a potential Boston Qualifier, and a PR. There was a lot on my mind. Maybe too much. I started off with the pace group and we did great. I noticed that my watch was running paces that were higher than the 8:58 pace that was talked about. I heard my friend Jackie scream my name at the 5 mile mark for the first relay group. I raised my hand to acknowledge her. She said that she noticed that something was not right by the look on my face. By mile 8, I realized that I could no longer hold the pace that the pacer was holding. This is not what I had planned. I looked at my pace band (3:50) and I was well ahead of where I needed to be. That should have been a good enough sign to pull off on my own and run MY race. Instead, I began the self destruction in my head. I beat myself up that I let the pacer go. I can not believe that I could not stay up. What is wrong with me? I trained so hard. I stayed in my head until mile 18. Then when I broke out, I was mad that I was in my head for so long. I never get caught up in my head over races like I did on this day. I wanted those goals so badly and I knew I could get them, but I watched them all slip away. During this whole journey, I kept seeing the same woman at three different locations. She carried a sign that was decorated with huge green foil ribbon that was curled around the words. This sign said, “Think Positive Thoughts”. Wow. Just. Wow. Every time I saw her, I read the sign and I would try to make eye contact with her, but she was always looking the other way. Was this my message? Was she there just for me? I want to think so. At mile 23, I hit a water stop and then it hit me. My hip was aching from the weight of my hydration bottle on my lower back. My friend Jackie had ran her leg of the relay, got to the finish line and was walking the course backward looking for me. She knew something was not right when she passed the 3:55 group and could not find me. She knew that when they finished and I was not with them, that there was something wrong. She came looking for me. As if we were twins, I sensed her. I looked to my right and there she was, running out to me with this look on her face – a look of worry and concern. Her presence at that moment was more than I could ever wish for. Jackie ran me in for the remaining 3 miles. We talked and passed the time. Jackie shared with me that our mutual friend, Michael from Run Nerds Rock, ran 11:11 miles 8:58 pace just for me. Anyone who knows me knows my relationship with 11:11. He could not get me the message, but wanted to make sure that she gave it to me when I finished. That message gave me a perk in those last miles and my pace began to come back up. Jackie entertained me and talked to me. It was Jackie who helped me finish this race. 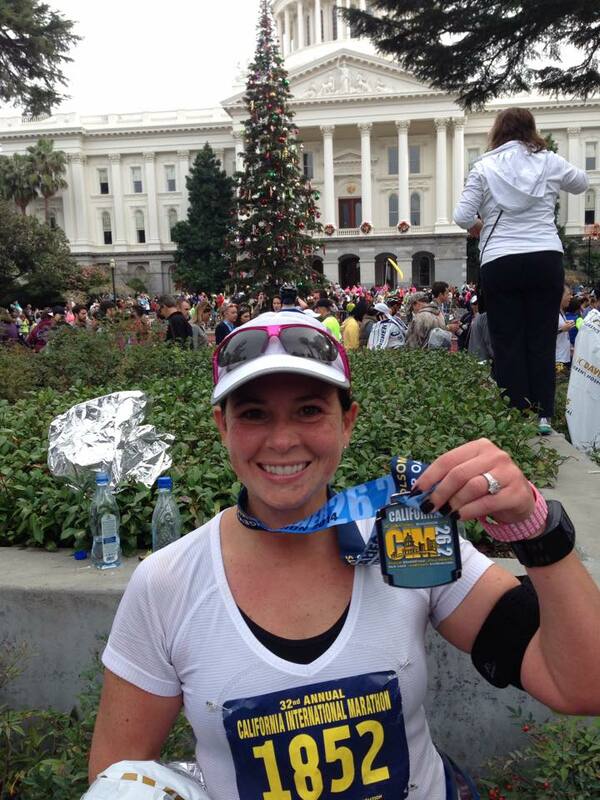 I cried when I finished CIM because I felt that I had let so many people down. I knew my training was there. I knew I could do this race and finish the way I intended. I have a friend who is instrumental in delivering the movie, Spirit of the Marathon and Spirit of the Marathon II. She was sending me messages prior to CIM filled with inspiration and guidance. I felt that I let her down. I felt I let my family down. I felt that I let all these people down, BUT I did not feel that I let myself down. I suppose this is key, here. I felt discouraged, frustrated and really angry that I did not run MY race. I know what I am capable of and I did not deliver. I guess that is a good thing that I did not let myself down. Because if I lost hope in me, then where would I be? 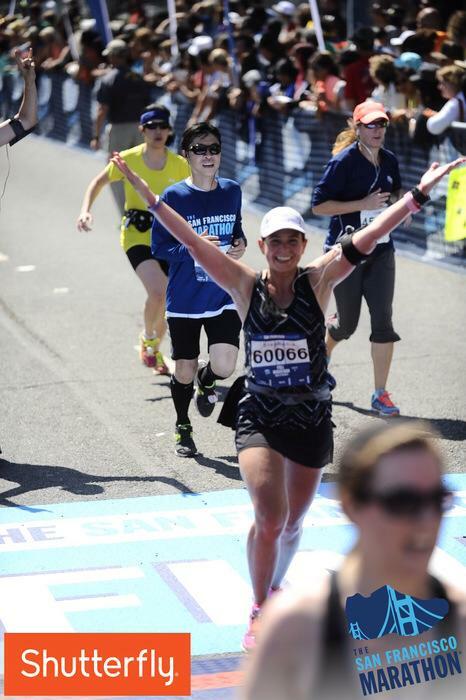 As I crossed that finish line – the final one for 2014, I had a new PR for the year. I finished CIM in 4:26. I missed all my goals, but I created a new one with Jackie by my side. I would PR for the year. As I gathered my medal and came through the chute, I saw two of my friends and Jackie coming up to meet me. I broke down in tears and realized then that friendships are worth more than finish lines. 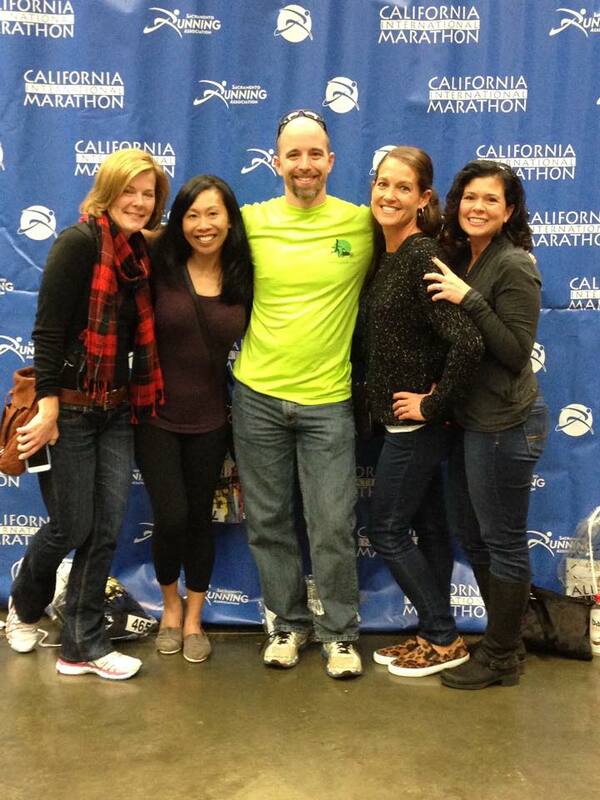 4:26 finish at CIM – December, 2014.